Kevin Jonas is now building houses. Kevin Jonas of the musical Jonas Brothers has entered into the Jersey real estate business. According to Terrie O'Connor Realtors, the firm is now "representing Kevin Jonas of The Jonas Brothers and Married to Jonas and Bill Werner of Integrity Stairs of Wyckoff in their new partnership in the luxury home market. Jonas and Werner together have created Jonas Werner Fine Custom Homes, LLC, a luxury home construction company for the most discerning clients. This partnership was born out of Kevin's unique and varied real estate experience and Bill's high end building expertise and respect in this industry. They have just completed their latest project, a truly spectacular 15,000 square foot home in Morris County, NJ. Next stop for this dynamic and winning partnership is Bergen County, where they have begun a project in Franklin Lakes for a celebrity couple." 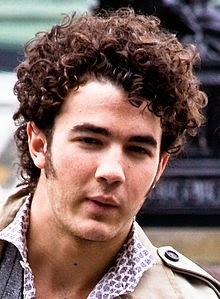 Kevin Jonas is married to Danielle Deleasa, and they live in Wyckoff, not far from where he grew up in Teaneck. He is the oldest of three brothers, Joe and Nick who rose to fame as a tremendously successful pop music boy band with swarms of teen and tween fans. He and his wife just had a baby girl, Elena Rose, this past February. Kevin can currently be seen on Married to Jonas, a reality show on the E! Network.